It's summer time and that means it's movie time! 2017 seems packed with a lot of blockbusters but I'm not quite as excited for this movie season as I usually am. Maybe it's the movie lineup itself or maybe my older, jaded self just doesn't get as hyped as I once did. In fact, it's pretty rare that I get excited for ANY movie as much as I did in my teenage and young adult years. Hooray for cynicism! I'm doing my list a little differently this year (aside from it being written and not on a podcast). I'm not delving quite as deep as I usually do into the catacombs of upcoming films to make this list. Normally my list includes some picks that would leave people wondering "what film is this?" And that's a good thing I think. I like to shine some light on films that I believe look worthy of attention but get lost in the deluge of marketing that the big tent pole films get. However I personally don't get to see a lot, if any, of these films. Due to their smaller presence they typically get limited releases or occasionally aren't actually opening in the US during the summer months. Plus, people who actually take the time to read this list would probably prefer I talk about films that they're actually interested in themselves. So while I still think movies like Last Men in Aleppo and The Big Sick still deserve their recognition, this year I've decided to focus on the big films that I'll actually have a good chance of seeing myself. That way I can compare my list of anticipation with how I actually felt after the fact. Cause if there's one thing I love more than my own opinions, it's analyzing and second-guessing my own opinions! On to the list! No, there isn't already a sequel to The Boss Baby. If you haven't seen the trailer for this movie or even heard of it before you should check it out. This movie has been generating a lot of buzz since premiering at the SXSW Film Festival and for good reason it looks like. If you ever wondered what The Transporter would be like if Edgar Wright had written and directed it, you're in luck! I always enjoy a Zac Efron comedy, which is not something I thought I'd be saying when the actor first started to become popular, and I've always preferred Dwayne "The Rock" Johnson in his comedic roles, so 2017's Baywatch on paper would seem to be right up my alley. Luckily, after seeing a couple of trailers the combination seems to be working more than just in theory. While I don't recall ever watching an episode of Baywatch, the same was true of 21 Jump Street and I loved the comedic remake of that franchise. Baywatch seems to be in the same vein and I hope that it can produce similar results. I'm not sure if this movie will have more to offer than intense actions scenes but sometimes that's all you need. Being a spy thriller, hopefully the plot of the movie is just as good as the action shown in the trailers. If not, hopefully it's at least simple enough not to distract from it. 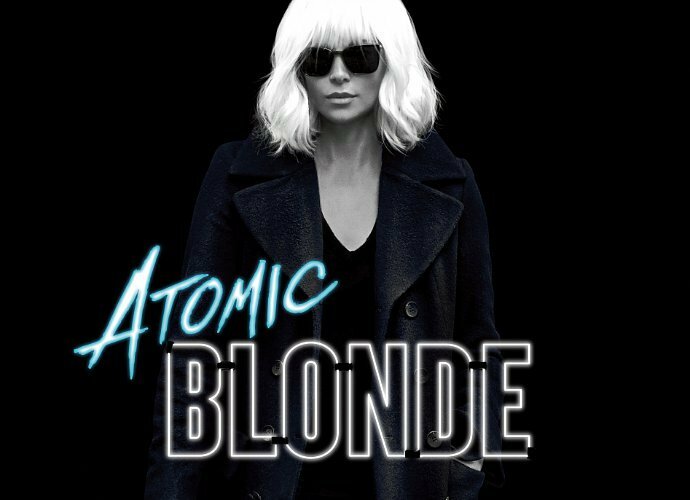 But Atomic Blonde is based off of a graphic novel and contains the cast of Charlize Theron, James McAvoy and John Goodman so there is hope of something more than just cool action. Fun fact: the cast also includes Sofia Boutella who plays the mummy in this year's The Mummy reboot and Bill Skarsgard who plays Pennywise in this year's It remake. I'm not sure I've ever seen a movie that could qualify as a Mother's Day film, but there's a first time for everything. Amy Schumer's newest movie looks to arguably be the funniest upcoming film this summer. Dangerous situations mixed with ridiculous behavior by the main characters is a popular style of comedy right now (hello again Baywatch) and it's one I very much enjoy. Amy Schumer and Goldie Hawn's chemistry seems perfect as bickering mother and daughter. If the rest of the film is as good as the trailer then we're in for a treat. One of the things I really like about doing these top ten upcoming movie lists is that it puts some movies on my radar that I hadn't know about before. The Hitman's Bodyguard is such a movie, which is pretty surprising considering it stars Samuel L. Jackson and Ryan Reynolds. Perhaps the fact that this movie doesn't come out until mid-August explains the current lack of exposure or maybe I've just had my head in the sand. Either way, this film looks to be a really fun time at the movies with two great actors, known for mixing action and comedy, doing just that. 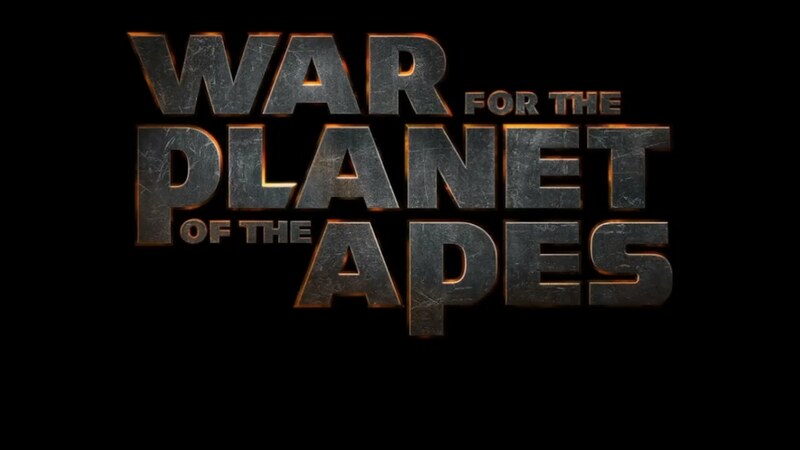 If I told you one of the films I'm most looking forward to this summer has a CGI monkey as a main character, you'd probably either wonder if they added a monkey to Cars 3 or yell at me for calling Caesar a monkey "when he's clearly a chimpanzee!" The newest Planet of the Apes films have proven to be some of my favorite movies from their respective years and hopefully the third movie in this prequel series continues that trend. It looks like it will if the trailers are anything to go by. If you know me, then you know I love Spider-Man. I've enjoyed the webslinger's earlier showings on the big screen to... varying degrees but ever since Marvel kicked off their Cinematic Universe I've yearned for Spider-Man to get to join the party. Tom Holland's Spider-Man in Captain America: Civil War was amazing and one of the highlights of that film. But his biggest scene was a shared experience and exciting in its own right thanks to seeing new and old Avengers battle against one another. 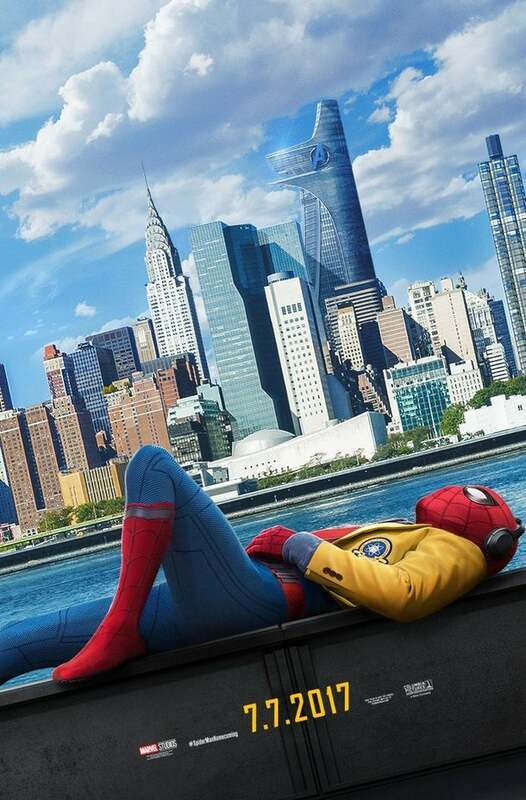 Can this new Peter Parker make it on his own? Well we're not going to exactly find out with this new film. Robert Downey Jr.'s Tony Stark is a known commodity and is definitely being used to give this film a boost. That's a good thing though. People enjoy Tony Stark and so do I, so knowing we're getting more Tony is exciting in its own right. However the trailers for this film just haven't gotten me hyped like I assumed they would and that's the main reason this film isn't number 1 on my list. 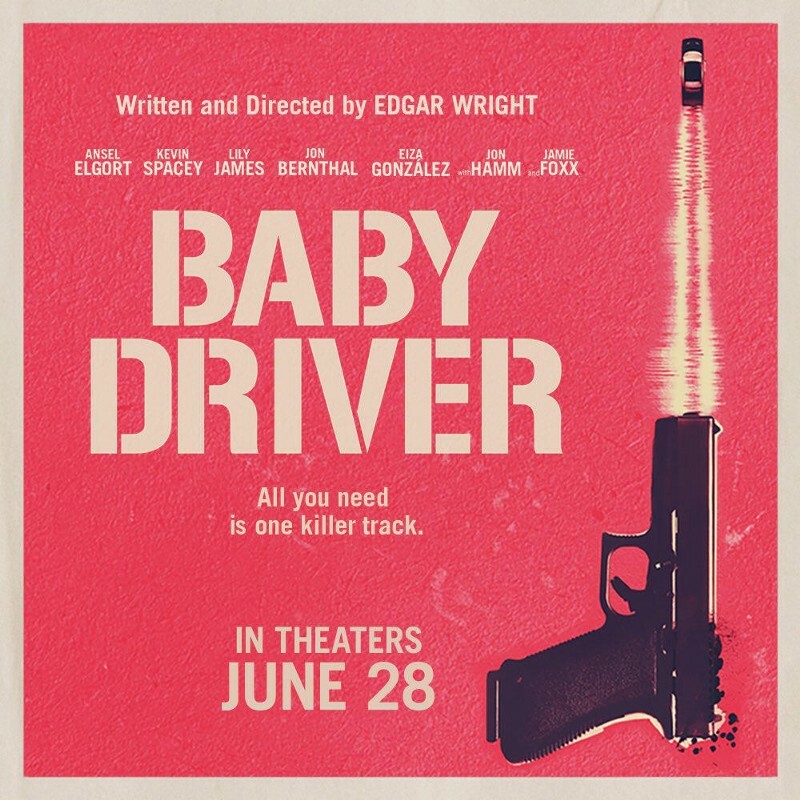 Everything we've seen still looks good and on track, and I hope this turns out to be my favorite film of the summer, but I'm just not as hyped for this film right now as I am for some others. Dunkirk is a World War II film written and directed by Christopher Nolan. Do I need to say more? I suppose so. Based on the true story of Allied soldiers that got surrounded by German forces Dunkirk looks to be a bit heavier than your average summer blockbuster. While it still looks to be a big and loud film Dunkirk promises to be something a little more thoughtful. Something that your brain can enjoy as well as your eyes. Something that will, hopefully, leave an impression after the ending credits. Guardians of the Galaxy Vol. 2. Easily one of the summer's most anticipated films for many movie goers and for good reason. The first film really got over well with critics and audiences alike and star Chris Pratt has only gotten bigger since, thanks to Jurassic World. Guardians of the Galaxy Vol. 2 is one of my most anticipated films for Summer 2017 for many of the same reasons. While I'm looking forward to seeing more of the same antics we got in the first film that's also one of my concerns going into this, that it'll ONLY be more of the same. Avengers: Age of Ultron suffered from a similar problem. All the elements were there from the original, making for an enjoyable experience. There just wasn't enough new stuff to actually make it better than its predecessor. I worry GotG V2 will suffer from this as well, but here's hoping the addition of a couple new characters can help elevate this sequel to more than JUST more. It's no secret that I am not a fan of DC's early attempts at their own shared cinematic universe and from what I've seen of this year's Justice League movie I don't hold out much hope that I'm going to like a lot of their films in the near future. 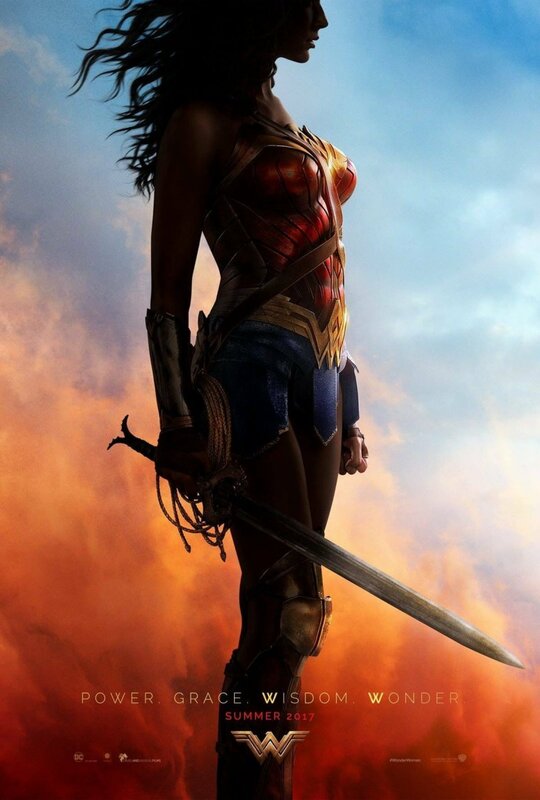 There does seem to be a glimmer of hope however in this summer's Wonder Woman movie. Wonder Woman was easily one of the highlights of last year's Batman V Superman: Dawn of the Beginning of the Rise of the Start of the Justice League (or whatever it was called). Gal Gadot did well in her small role and the Wonder Woman character came across great in the film's climatic battle. With her work there Gal Gadot inspires confidence that she can lead this last pre-Justice League origin movie to success. The film also checks a lot of boxes when it comes to the types of films I enjoy. Superhero film? Check! World War I setting? Check! Warriors from some vaguely ancient time period? Check! Last but not least, the addition of Chris Pine as Gadot's costar just boosts this movie even more in my eyes. I'm definitely a fan of Pine and I look forward to his introduction into a superhero universe. Well that's it for my 2017 list! What did you think? Great list or the greatest list? How does it stack up to your list? Let me know in the comments below! Wonder Woman is set in World War 1, actually! Good list, though. Guardians would have been my number #1. Wonder Woman is definitely in my top 5 along with Spider-Man Homecoming. I'm also looking forward to the Mummy. Yeah, I'm a big Universal Monsters fan and I'm curious about this. Also, put me down for Dunkirk, WOTPOTA, It Comes at Night, Alien, and the Dark Tower. The Dark Tower is an August release. Is that OK? An earlier version of this list had a comment about Wonder Woman fighting Nazis, till I looked it up and realized it took place in World War I. Guess I missed a reference! Dark Tower definitely makes the cut. Every movie you listed was on my short list with the exception of Aliens. I'm happy to see Spider-Man makes the cut for your list! Yeah it's WWI LOL! Also I didn't realize they were remaking James Cameron's Aliens? You mean Covenant? Yeah, Alien Covenant. Looks to be set somewhere between between Prometheus and Alien.